Florentien’s first experience with chiropractic was as a teenager when she was suffering from knee pain and headaches. She saw a chiropractor with excellent results and has never looked back since. 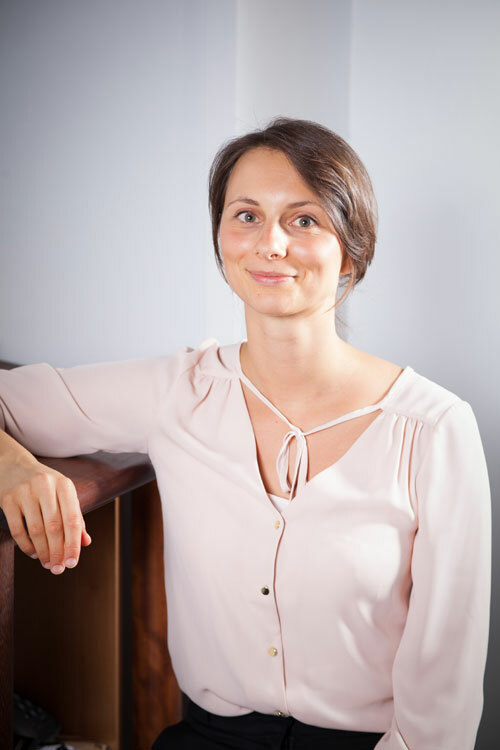 Originally from Belgium, she came to the UK to study chiropractic and graduated with merit from the AECC in Bournemouth in 2009 and joined the St James clinic in 2012. She is continuously expanding her treatment technique with further training in the fields of Sacro-Occipital Technique, Applied Kinesiology, medical acupuncture, Webster technique (pregnancy care), paediatrics, craniopathy, functional medicine and nutrition. A typical treatment for an adult includes spinal adjustments, soft tissue releases, cranial work, correction of movement patterns and nutritional advice. She understands that chiropractic is about more than just quick pain relief and how it can help people reach their full health potential. Even before becoming a mum, pregnancy care and paediatrics has been a strong interest and Florentien wants to ensure that children have the best start in life. When Florentien is not at the clinic, she can be found enjoying good food and drink, reading geeky books, running, doing crossfit or any outdoor activity. Family and friends are very important to her – she loves playing outside with her two little boys.